Whether it’s tiny little kittens or nano handbags, there’s no doubt that anything miniature in size automatically gets categorised as the most adorable thing ever. The same theory goes for tiny humans too, and we have our eyes on 10 of them who not only likely have more Instagram followers than you but also, very possibly, a more stylish wardrobe too. Scroll down to find out who they are. Fendi, Gucci, Balmain, Louis Vuitton, Dior, Burberry, Dolce&Gabbana — you name it, she has it. This Australia mini fashionista lives the high life with a wardrobe filled with designer apparels and bags from top fashion houses around the world. Her style is bold, laid back and very stylish; and though she’s only 5, she has already stormed the New York Fashion Week runway (at the age of 2!) and garnered an Instagram following of 392k people. 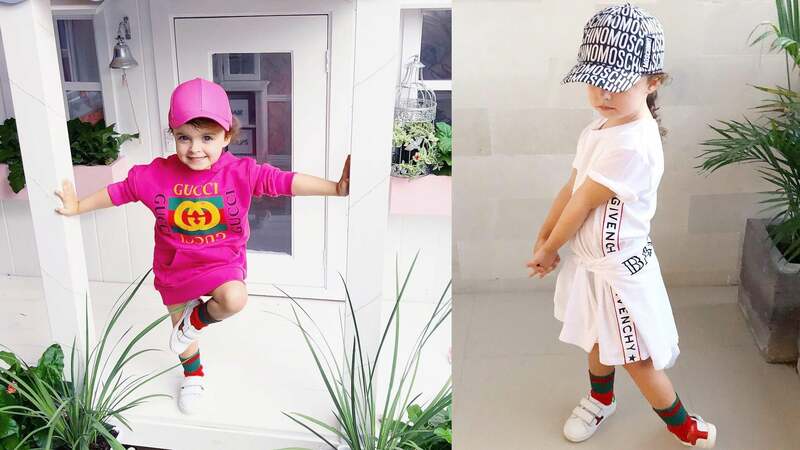 The 4-year-old Vada is already a pro when it comes to posing for the camera, and with her perfect doll-face, modern outfits and very cute sidekick — a.k.a. her little sister, Nova — it’s no surprise that she’s got 42.1k followers around the world, who are all constantly checking their feeds for her next update. Another mini fashionista who strikes a pose better than the majority of us, the 5-year-old Lilly has captured the hearts of her 17k followers with her gorgeous curls, stylish outfits and utter confidence that shines beautifully from the inside out. With 684k followers, the Tokyo-based, 7-year-old’s style power is not to be missed. Not only is she already a master at layering, she also often mixes high fashion pieces with vintage finds (her parents are the owner of Funktique, a vintage shop in the heart of Tokyo) and eccentric accessories, offering inspiration to those who wish to step outside conventional boundaries. Anyone who has an internet connection must have come across Mila’s hilarious videos at some point; while she often steals the spotlight due to her goofy yet very adorable personality, she shines best when she’s seen with her twin sister, Emma, with the two of them wearing coordinating outfits. With four million followers under their belts, the twins have also recently launched their own children clothing line, and according to their mom, they were very much involved in the design process. Daughter of Mai Nguyen-Miyoshi, Tokyo’s nightlife maven, the 6-year-old Zooey is already a VIP guest at the coolest fashion events in Tokyo, which she’s been attending since she was just 4 months old. She’s now a model, and uses her Instagram account to show off her latest fashion attires to her 142k followers. Want inspiration for mother and daughter coordinating outfits? You’ll find them at Yana’s Instagram account. The Russian mother of two often posts photos of her and her 3-year-old daughter wearing matching outfits. She will also dress both children (her son is four) in similar styles, so if you’re a parent who is looking to get fashionably inspired, here’s where you can go. This 7-year old, currently with 128k Instagram followers, rose to fame at the age of two due to an uncanny resemblance to Bruno Mars. Since then, he’s been taking up modeling jobs which included a photo shoot for the Kardashian Kids collection, which was re-posted by Khloe Kardashian, boosting his fame even further. It’s cuteness overload over here at @ktnewms, a mother who posts plenty of photos of her children, Rory and Jack, wearing coordinating outfits. Whether or not you have a baby or toddler at home, you’ll want to join the 116k followers for a daily dose of those adorable faces, cute smiles and pretty clothes. Any DIY lovers out there would appreciate the efforts of Olivia’s mom, Ha Truong, who frequently dresses her daughter in beautiful designer gowns she replicates at home. Her most successful piece to date? The blue Marchesa gown she saw on Constance Wu on Crazy Rich Asians, which was approved by the actress herself (find DIY instructions here).